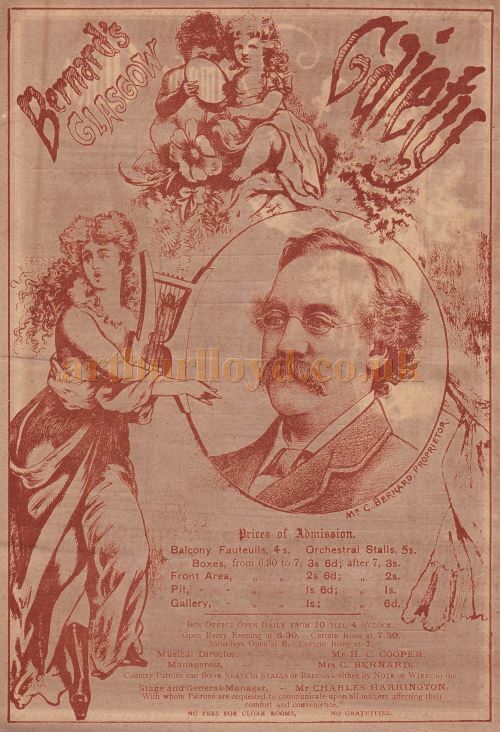 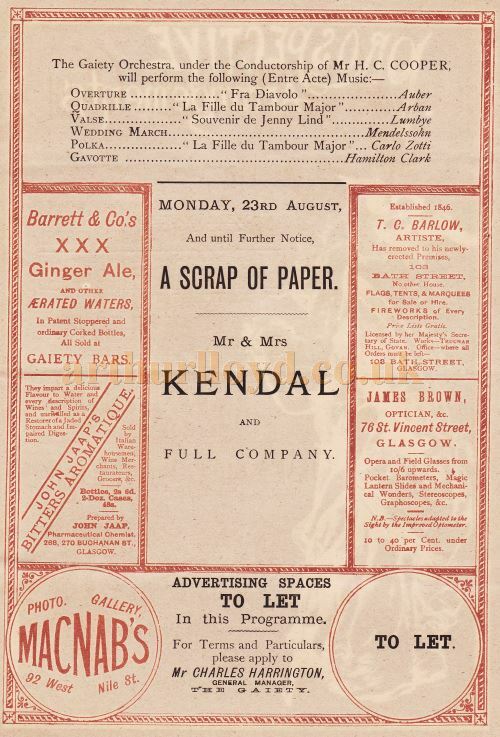 The programme shown here is for Mr and Mrs Kendal and Mr Hare and Company from the St. James's Theatre in London, at Bernard's Glasgow Gaiety for 12 nights from Monday the 16th of August 1880. 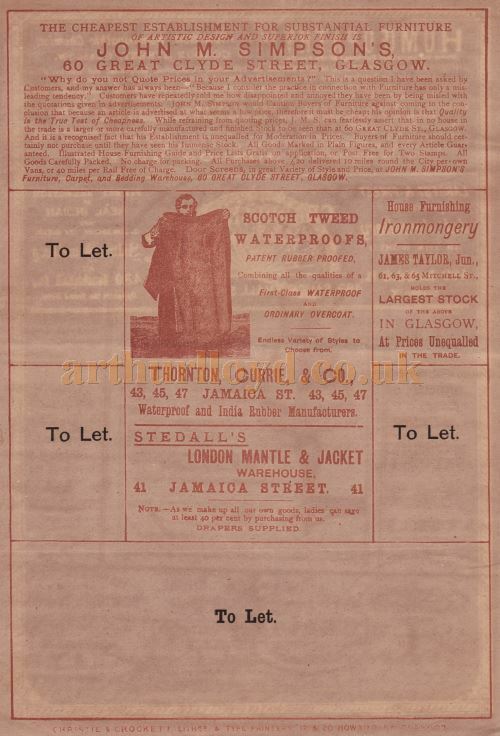 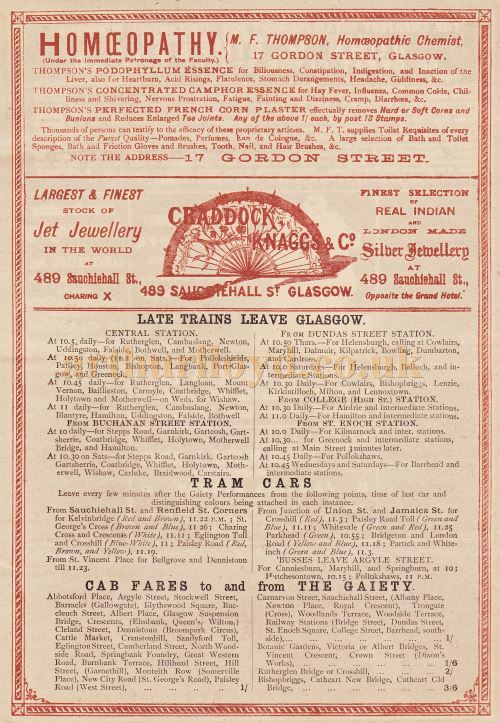 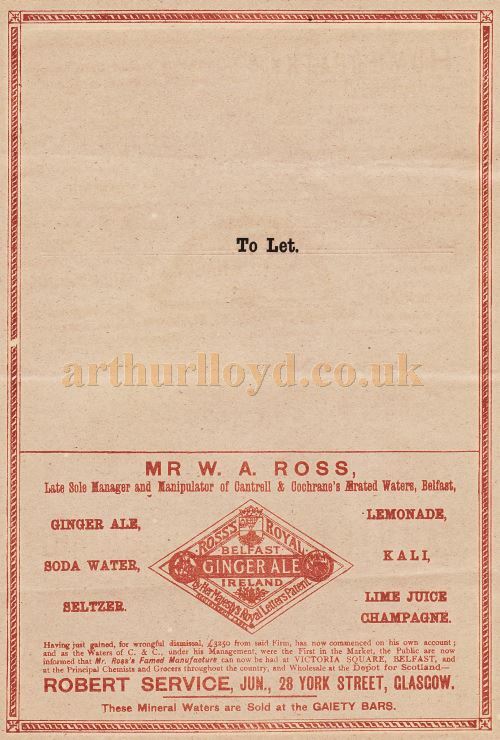 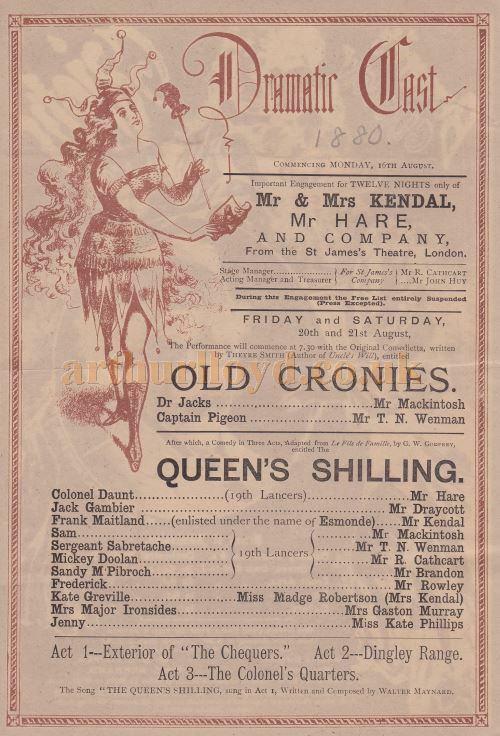 It also advertises prospective forthcoming productions at the Glasgow Gaiety in August 1880 of 'Old Cronies' and 'Queen's Shilling' on the 20th and 21st, 'A Scrap of Paper' with Mr and Mrs Kendal and Company on the 23rd. 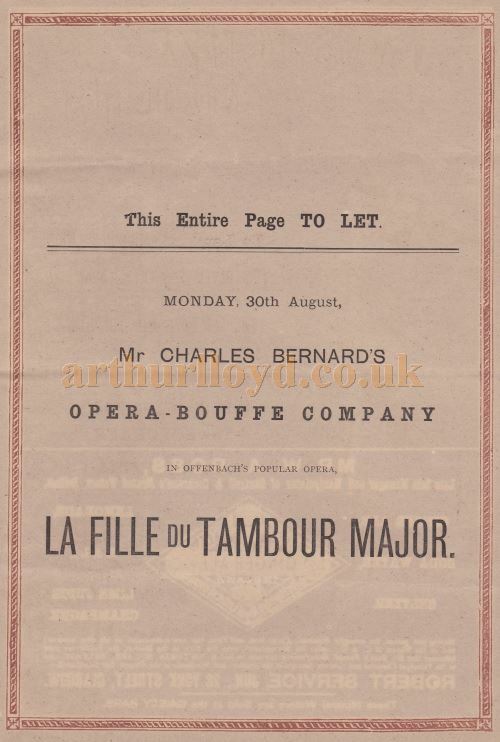 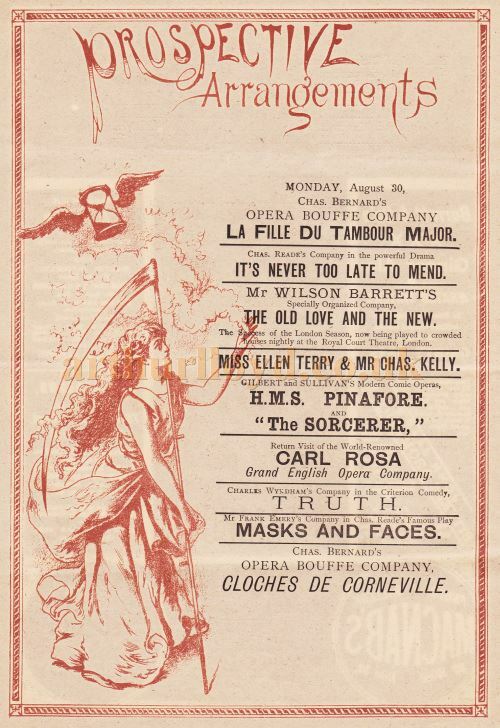 And from the 30th of August the Opera Buffe Company in 'La Fille Du Tambour Major', Chas Reade's Company in 'It's Never Too Late To Mend', Wilson Barrett's Company in 'The Old Love And The New', Ellen Terry & Chas Kelly, 'H M S pinafore and The Sorcerer', The Carl Rosa Company, Charles Whyndham's Company in 'Truth', Frank Emery's Company in 'Masks And Faces' and Chas Bernard's Opera Bouffe Company in 'Cloches De Corneville'.